Crossrail has revealed that a new Elizabeth line train has been hauled through its tunnels for the first time. Following the news, Crossrail said that the testing of track and infrastructure is to begin soon. The first Elizabeth line train – a Bombardier Class 345 Aventra – entered service in June between Liverpool Street and Shenfield. Since then, new trains have gradually been introduced on the Liverpool Street to Shenfield route currently operating as TfL Rail. The new railway will be known as the Elizabeth line when services begin in December 2018. The full line will be open by December 2019. 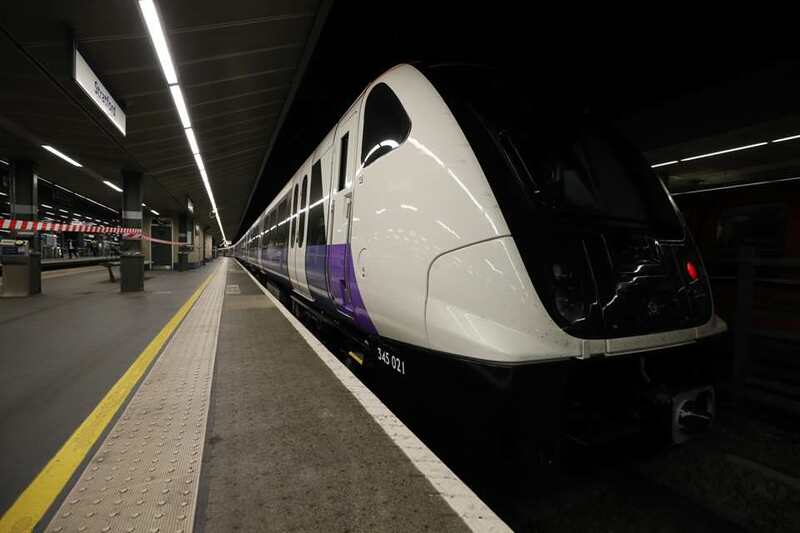 New state-of-the-art trains will carry an estimated 200 million passengers per year as Crossrail increases central London’s rail capacity by 10 per cent through new services. Good to see the Class 345 train being hauled into the Crossrail tunnels for the first time. With more Class 345’s to be built and when the line opens late next year. 24tph will pass underneath Central London with trains heading to & from Reading and Heathrow Airport in the west and Shenfield and Abbey Wood in the East.